Hi everyone! I’m Megan from Mrs. Wheeler’s First Grade. I am from Ohio and have been teaching first grade for 10 years. I am happy to be guest blogging for Kimberly today! Today’s post is all about assessment! Assessment can be a tricky thing, especially for new teachers. Knowing what to assess and when to assess is challenging. At the start of the year, I like to get a good picture of each of my students. I do this by administering both pencil/paper and oral assessments. Although it can be somewhat time consuming, the one-on-one time I get with my students tells me a lot. This year, I am super excited about using my assessment pack. With all the new changes to the standards and teacher evaluation systems, documentation is very important. These assessments are going to come in very handy for parent meetings and RTI. In first grade, I do a lot of my assessments with white boards and a checklist. I like doing this because it’s quick and to the point. I can assess word family knowledge, sight words, phonics chunks, and most skills for Math. I keep my clipboard stocked with blank checklists near my rug so I can grab it when I want to do a quick check. 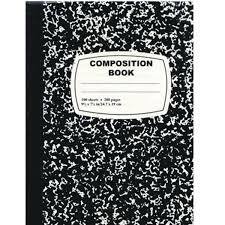 For Writing, I like to use a composition notebook to take anecdotal notes with kids as I conference with them. I put each child’s name at the top of a page and skip a few pages before putting the next child’s name. I have found this to be the best method for me over the years. When we “publish” a story, I use a rubric. I have my students self-assess with a rubric and then I complete one as well. 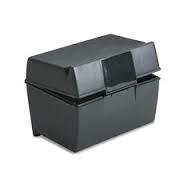 I have also seen some teachers use a file box to keep their student’s notes about writing. The clipboard/label method is also an option. I recommend finding a system that works for you. You are the one that will be implementing in your room, so it’s best to find what best meets your needs. 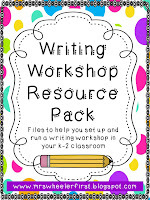 My writing rubrics and lots of other goodies for writing can be found in my writing resource pack, which is shown below. As mentioned above, for Math, I use student slates for a lot of my assessing. However, when you have a big group of students in your room, slate assessment isn't always accurate. It’s very easy for students to peek at others’ boards! We so busy looking around and marking on your checklist, we probably don’t even notice half the time! Exit slips are great for the end of a lesson. 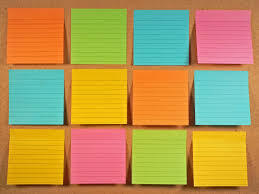 You can do these by giving students sticky notes and having them answer a question or problem on them. These work great for those times when you don’t have an assessment prepped. I use my Math Quick checks all the time! It’s so easy for me to pull the ones that I need for the week from my binder. I have it out during lesson planning so I can ensure I am assessing throughout the week. It's good to remember that you should find a system that works best for you! I hope you enjoyed this post and got some tips! Please come visit my blog anytime! Wow, thank you so much for the detailed post. Assessment is so important it is very necessary to have a plan and some formative and summative assessments ready to go.